Are you tracking donor retention rates? We are proud of Lori H. Overmyer, Executive Vice President, and her continued leadership with the AFP Research Council and the ongoing (FEP) Fundraising Effectiveness Project. If you are not monitoring your organization’s donor retention rates you should be. Creating donor communication and stewardship programs to increase your donor retention rates is a sure fire way to increase annual giving to meet and exceed your annual goals. You may wish to contact the firm to leverage Lori’s knowledge and experience in the areas of donor retention analysis and improvement. Donations to charities in the U.S. increased by 2 percent in 2017 while the number of donors increased by 0.7 percent, according to the Fundraising Effectiveness Survey Report. The report, a product of the Fundraising Effectiveness Project (FEP) and the Growth in Giving database — a database of charitable donation history — also found that the donor retention rate increased slightly to 45.5 percent. The donor retention rate, the percentage of donors who gave in 2016 and again in 2017 to the same organization, has hovered in the mid-40th percentile for the past decade, underscoring just how difficult it is for nonprofits to keep donations flowing from their supporters. The report found that the average gift amount crept forward — a 1 percent increase from $1,024 in 2016 to $1,037 in 2017. However, nonprofits with less than $100,000 in contribution income declined 8.2 percent from 2016 to 2017. Nonprofits with more than $500,000 in contributions increased 9 percent in the same time. 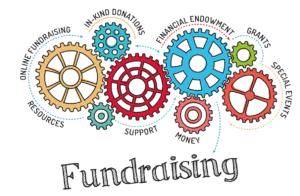 “What we’re seeing in general is textbook fundraising — larger organizations faring better than smaller ones,” said Steve Birnbaum, vice president of SofTrek Corporation, a contributing data partner to the FEP. “There are always exceptions, but larger charities — with more available resources to direct towards fundraising—will typically do better than small ones.” Birnbaum also noted that the strength of the report resides in its detailed focus on donor retention and analysis of gifts and donors over many years.